The registration price of $35.00 is per person. I AGREE ALL REPRESENTATIONS MADE AND RELEASES, WAIVERS, COVENANTS AND CONSENTS GIVEN BY ME HERE ARE GIVEN ON BEHALF OF ME AND ALL MY MINOR CHILDREN OR PERSONS OVER WHOM I HAVE GUARDIANSHIP TRAINING FOR OR PARTICIPATING IN EVENT. MINORS UNDER 18 MUST BE ACCOMPANIED BY A PARENT/GUARDIAN WHO IS ALSO A REGISTERED PARTICIPANT. 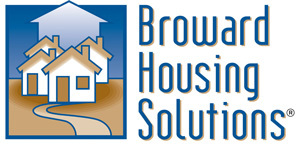 BHS® Waiver: Broward County Community Development Corporation, INC., DBA, Broward Housing Solutions® ADULT WAIVER AND RELEASE, EXPRESS ASSUMPTION OF THE RISK, AND INDEMNITY AND HOLD HARMLESS, AND VOLUNTARY CONSENT AGREEMENT (hereinafter this “Agreement”). 1. THIS AGREEMENT MUST BE CAREFULLY READ AND SIGNED IN CONSIDERATION OF my ability to participate in the ‘A Walk in the Park – Your Contribution for a Solution: Mental Illness & Homeless’ located at: 3300 N. Park Rd., Hollywood, FL 33021, walking, running, and other sport and athletic activities and events organized by Broward Housing Solutions® (hereinafter “BHS®”) including, without limitation, playing, training, managing, learning, practicing, exercising, competing, observing and spectating, or for any other purpose (hereinafter collectively “EVENTS”) and/or IN CONSIDERATION OF my ability to enter into or upon the premises, locations, and facilities where said EVENTS are or will be taking place (hereinafter the “LOCATION”). I enter into this Agreement, on behalf of myself and on behalf of my personal legal representatives, assigns, heirs, and next of kin (hereinafter collectively “UNDERSIGNED”). The UNDERSIGNED hereby:. 2. WAIVER AND RELEASE. RELEASES, WAIVES, DISCHARGES AND COVENANTS NOT TO SUE BHS, the Miami Beach Halloween Half Marathon (hereinafter “EVENTS”), the Cities of Miami Beach, and City of Miami, the operators, franchisers, organizers, sponsors, and hosts of the EVENTS, officials, rescue personnel, the track and facility and location owners, lessors, leasees, inspectors, surveyors, insurers, underwriters, consultants and others who give recommendations, directions, or instructions or engage in risk evaluation or loss control activities regarding the course, facility and location, and each of their affiliated owners, subsidiaries, shareholders, officers, directors, managing agents, employees, independent contractors, members, agents, attorneys, investors, assigns, and all other persons or entities involved in the EVENTS (hereinafter collectively “RELEASEES”), FROM ALL LIABILITY to the UNDERSIGNED for any and all loss or damage and any claim or demands on account of INJURY TO THE PERSON OR PROPERTY OR RESULTING IN DEATH of the UNDERSIGNED arising out of or related to the UNDESIGNED’s participation in any way in the EVENTS and/or the UNDERSIGNED’s presence in or upon the LOCATION, even that caused by the ordinary NEGLIGENCE of the RELEASEES (hereinafter “LIABILITY”). The LIABILITY encompasses, but is not limited to, active or passive conduct, premises liability, ordinary NEGLIGENT RESCUE EFFORTS, and ordinary NEGLIGENT enforcement of (or the failure to enact or enforce) rules, regulations and guidelines. It also encompasses, without limitation, LIABILITY concerning ordinary NEGLIGENT selection, use, operation, design and/or maintenance of any equipment, facility, LOCATION, or service related to the EVENTS..
3. MEDICAL CONSENT AND RELEASE: AUTHORIZES AND CONSENTS TO RELEASEES providing and/or arranging for MEDICAL CARE OR TREATMENT OR EMERGENCY MEDICAL SERVICES OR RESCUE EFFORTS to UNDERSIGNED in the event of an emergency or in the event of an injury or medical condition that develops or occurs during participation in the Miami Beach Halloween Half Marathon or during the UNDERSIGNED’s presence in or upon The Location of such EVENTS. UNDERSIGNED expressly WAIVES AND RELEASES AND AGREES TO HOLD RELEASEES HARMLESS from and against any and all LIABILITY arising therefrom..
4. EXPRESS ASSUMPTION OF THE RISK. Acknowledges that the Miami Beach Halloween Half Marathon can be VERY DANGEROUS and involve the RISK OF SERIOUS INJURY AND/OR DEATH AND/OR PROPERTY DAMAGE. This Agreement also constitutes an express and contractual ASSUMPTION OF ALL RISKS AND DANGERS associated with the EVENTS, which include, but are not limited to, exposure to the elements; dehydration and exhaustion; sun stroke; the risk of pulling muscles; breaking bones; suffering a disability or permanent injury; collisions between UNDERSIGNED with other persons and/or stationary, natural, or manmade object; being struck by objects or equipment; tripping and falling; encountering imperfect and changing a varied course, property, and weather conditions and circumstances, including with regard to the availability and proximity of fluids and refreshments, or the lack thereof; the unavailability or proximity of emergency medical care; and/or the improper acts or conduct of other persons. The EVENTS will include participants of all skill and experience levels (including both professional and amateur persons) and varying levels and types of equipment, and UNDERSIGNED expressly assumes the risks associated with mixed and varying skill levels and types of equipment. UNDERSIGNED also acknowledges that there may be undefined and presently unknown risks and dangers associated with the EVENTS, and that there may be risks and dangers that may result from the ordinary NEGLIGENCE of the RELEASEES. This includes the potential ordinary NEGLIGENCE in the implementation or enforcement of any rules, regulation or guidelines related to the EVENTS and/or the potential ordinary NEGLIGENCE in the selection, use, operation, design, or maintenance of any equipment, competition, LOCATION, course, facility or service related to the EVENTS. UNDERSIGNED hereby expressly assumes all such risks and dangers whether presently known or unknown and acknowledges that injuries may be compounded or increased by ordinary NEGLIGENT RESCUE OPERATIONS OR PROCEDURES..
5. INDEMNITY AND HOLD HARMLESS: Agrees to DEFEND, INDEMNIFY, AND SAVE AND HOLD HARMLESS the RELEASEES and each of them from any loss, liability, damage or cost they may incur (including attorneys’ fees and court costs) arising out of or related to the UNDERSIGNED’s participation in the EVENTS in any way or related to UNDERSIGNED’s presence in or upon the LOCATION, even if cause by the ordinary NEGLIGENCE of the RELEASEES. UNDERSIGNED also hereby agrees to DEFEND, INDEMNIFY, AND SAVE AND HOLD HARMLESS the RELEASEES from any loss, liability, damage or cost (including attorneys’ fees and court costs) caused by or arising out of any action or failure to act by UNDERSIGNED during or in connection with UNDERSIGNED’s participation in the EVENTS in any way, and/or arising out or UNDERSIGNED’s improper, tortious, and/or criminal conduct. UNDERSIGNED also agrees to pay RELEASEES for any and all damage to the LOCATION caused by UNDERSIGNED..
6. VOLUNTARY PARTICIPATION AND INFORMED CONSENT. Acknowledges that there are inherent dangers related to the EVENTS. UNDERSIGNED agrees that he/she will not participate in the EVENTS or utilize the facilities if he/she is under the influence of drugs or alcohol, if she is pregnant, or if there is any other physical condition that may impair his/her ability to understand instructions or to participate without creating risk to others or himself/herself. UNDERSIGNED acknowledges that he/she has been informed that HIS/HER PERSONAL SAFETY CANNOT BE GUARANTEED. It is the UNDERSIGNED’s responsibility to: (1) fully disclose any health issues or medications that are relevant to his/her participation in the EVENTS; (2) inform the BHS, or their employees if there are any activities or aspects of the program about which he/she does not feel comfortable; (3) cease his/her participation and promptly report to BHS, or their employees any unusual feelings or physical discomfort; and (4) clear his/her participation with his/her physicians. UNDERSIGNED bears the responsibility to obtain, review, and follow all rules, regulations and instructions associated with the EVENTS. UNDERSIGNED knows the nature of running and similar sporting activities and the EVENTS and his/her experience and capabilities. UNDERSIGNED believes that he/she is qualified to participate in the EVENTS. UNDERSIGNED agrees to inspect the facility and equipment to be used by him/her and with which her/she may come into contact. UNDERSIGNED understands that participants in the EVENTS are subject to drug testing as described in the applicable “Terms and Conditions” UNDERSIGNED understands that the course is open to participants for a total of six (2) hours..
7. GRANT OF RIGHTS. Hereby grant to BHS the non-exclusive, royalty-free, and worldwide right and ability to photograph and film UNDERSIGNED during the EVENTS, as well as the right and ability to utilize such photos and film, and UNDERSIGNED’s name, likeness, and biographical information in any and all forms of media, presently available or developed in the future, in the promotion, advertising and marketing of BHS and/or EVENTS events and activities..
8. UNDERSIGNED represents and warrants that he/she has the full, complete and unrestricted legal right, power and authority to enter into this Agreement. This Agreement is intended to be as broad and inclusive as is permitted by law, and it is intended to be fully severable. If any portion of this Agreement is held invalid, it is agreed that the balance the Agreement shall continue in full legal force and effect. That shall include modifying the Agreement to allow the remainder of claims to be waived, released, and indemnified against in the event that the inclusion of any particular type of claim is found to be invalid or contrary to public policy. This Agreement is to be interpreted and enforced under the laws of the State of Florida, and any dispute regarding the enforceability of this Agreement shall be filed in the courts of the Palm Beach County, Florida and shall not be transferred to any other state..
9. UNDERSIGNED HAS READ THIS AGREEMENT FULLY, UNDERSTANDS ITS TERMS, UNDERSTANDS THAT HE/SHE HAS GIVEN UP SUBSTANTIAL LEGAL RIGHTS BY SIGNING IT, AND HAS SIGNED IT FREELY AND VOLUNTARILY AND WITHOUT INDUCEMENT, ASSURANCE OR GUARANTEE BEING MADE TO HIM/HER and he/she intends his/her signature to be a complete, continuing and uncontrolled release of all liability to the greatest extent allowed by law. UNDERSIGNED acknowledge that he/she was given ample opportunity to read the Agreement and/or have it reviewed by legal counsel of his/her choice. He/she also acknowledges that he/she was offered a copy of this Agreement.